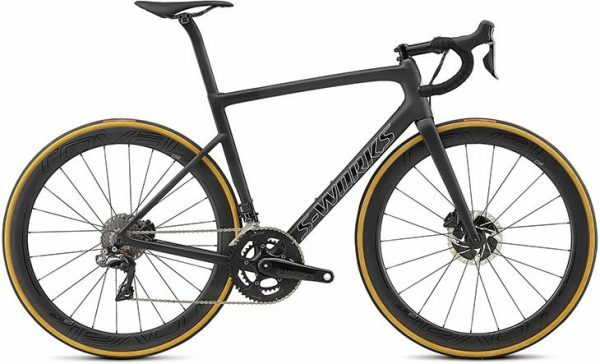 But why disc brakes? The real question is ’why not?’ They offer superior braking power and modulation, work exceptionally well in wet weather, and offer a very, very minor addition. All this means that you have more control and can go faster with more confidence. We also know, however, that aerodynamic improvements are the most important thing we can do to make you faster. Both our Bora-Hansgrohe and Team Quick-Step Floors Pro Tour riders, after all, are demanding aero improvements on every bike. With this, the aero goal was to discover where we could essentially ’add aero for free,’ by not taking anything away from the hallmarks of the Tarmac design. During the six-month iterative process, three areas were discovered where we could do this—a new fork shape, dropped seatstays with aero tubes, and a D-shaped seatpost and seat tube. The result? 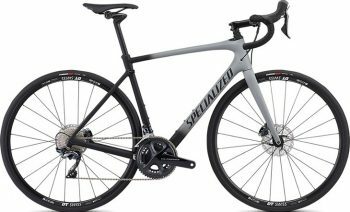 A bike that’s approximately 45 seconds faster over 40km compared to other lightweight bikes in the same category. We’ve combined our incredibly light and stiff, carbon fiber S-Works road cranks with dual-sided power measurement, making it the lightest (440g/172.5mm) and most accurate (+/- 1.5%) power meter available.